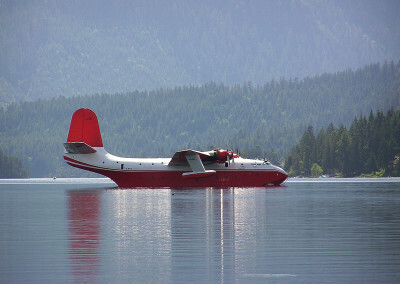 Retired now the Mars Bombers used to be a big part of fighting forest fires on Vancouver Island. 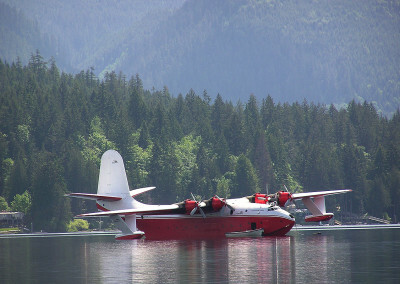 The gigantic Martin Mars water bombers used Sproat Lake for their runway and to scoop up water to take to forest fire areas. 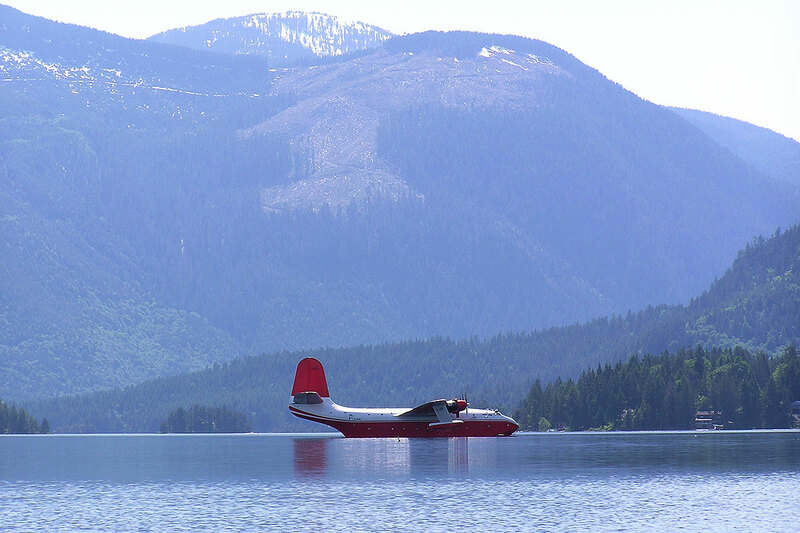 Martin Mars water bombers can take in up to 27 tons of water off the lake surface and are the largest water bombers in the world. 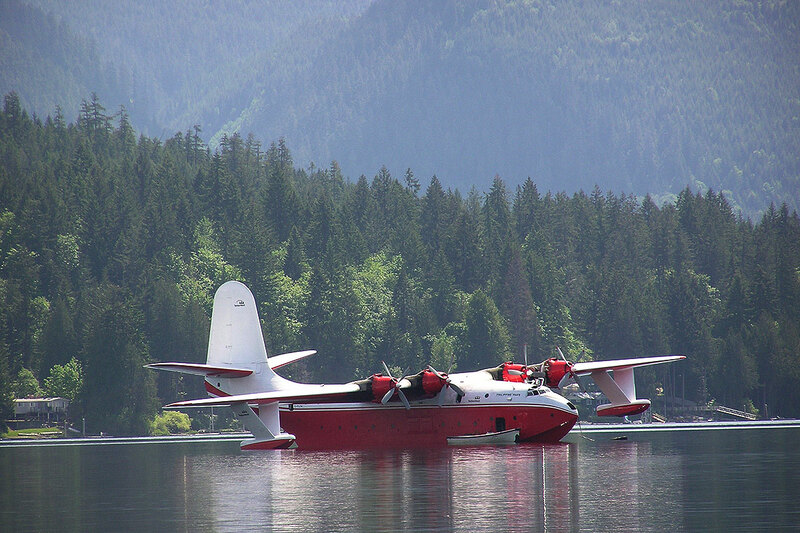 Sporat Lake Mars Bombers, Drive to Tofino, Pacific Rim Highway 4, The Road to Tofino, BC. 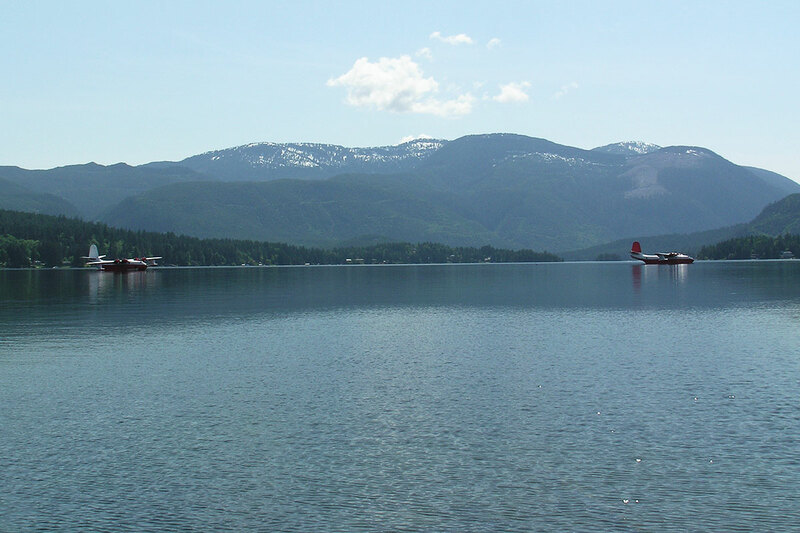 Pets are allowed on leash. 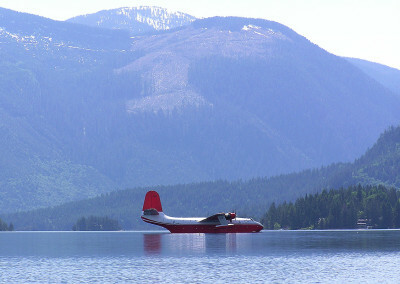 It is possible to drive down to the boat launch to view the Martin Mars water bombers. 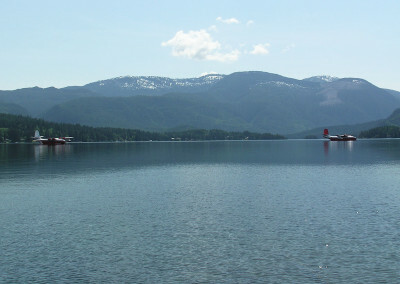 That area is wheelchair accessible.